Hey guys, how you doin’? 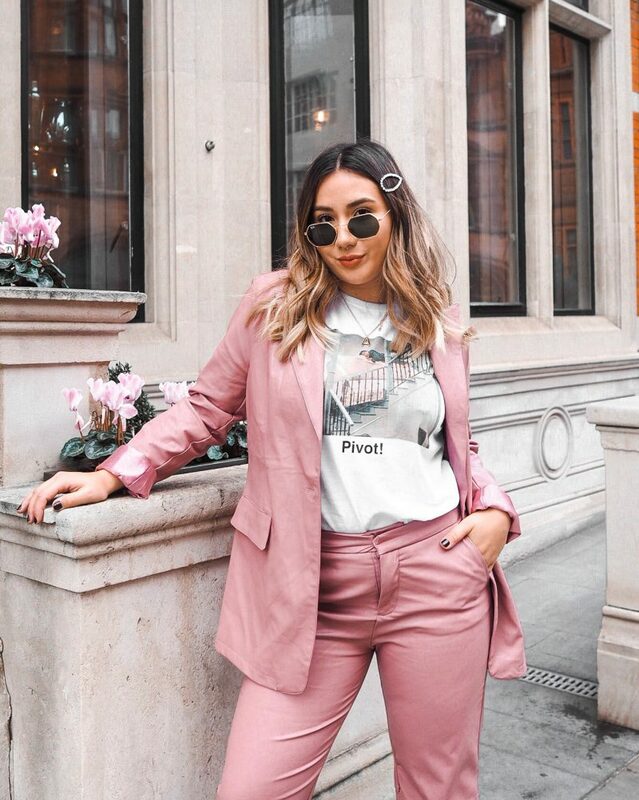 I’m currently sat at home, curled up in my dressing gown, thinking about how amazingly blogger-y the last few days have been. 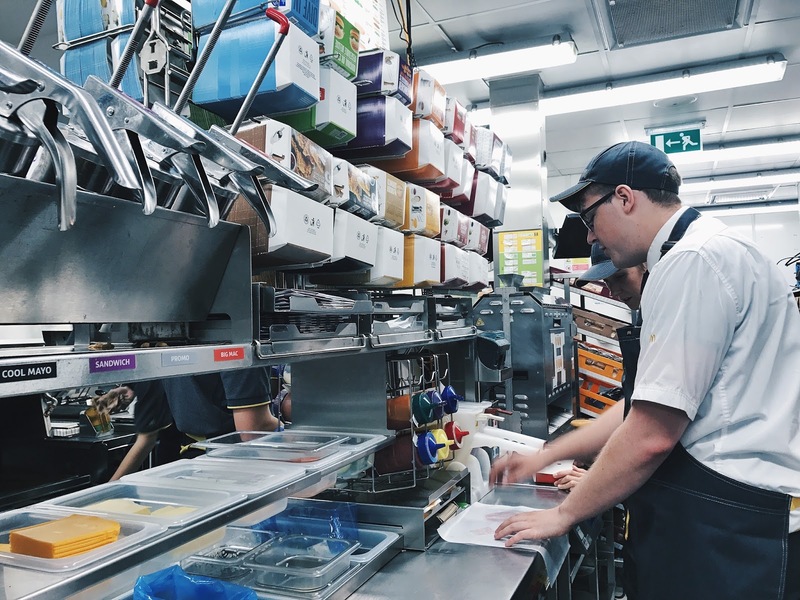 Last week I was actually invited down to McDonald’s Cardiff Culverhouse Cross branch to have a peek behind-the-scenes at McDonald’s new innovative technology – both in and out of the kitchen! 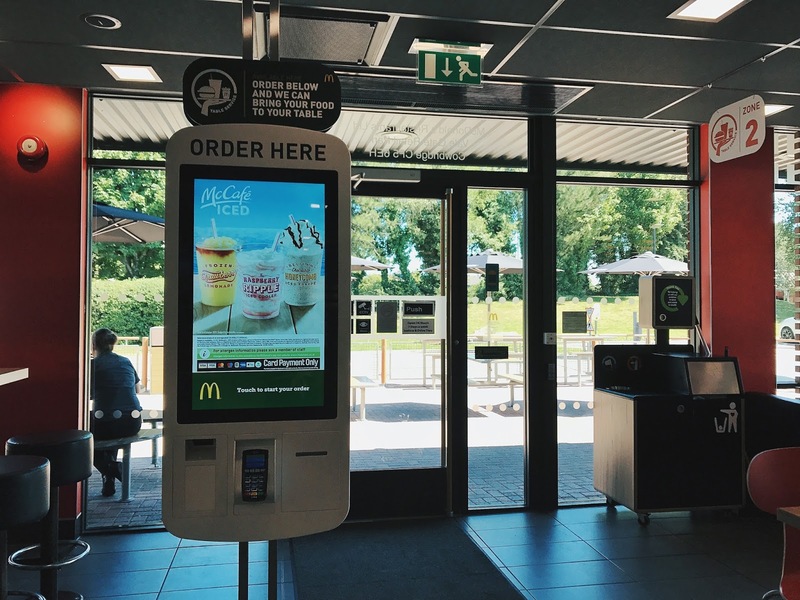 If you’re a young person/student/busy body you’ve probably already noticed the implementation of digital kiosks near the old school til set up? 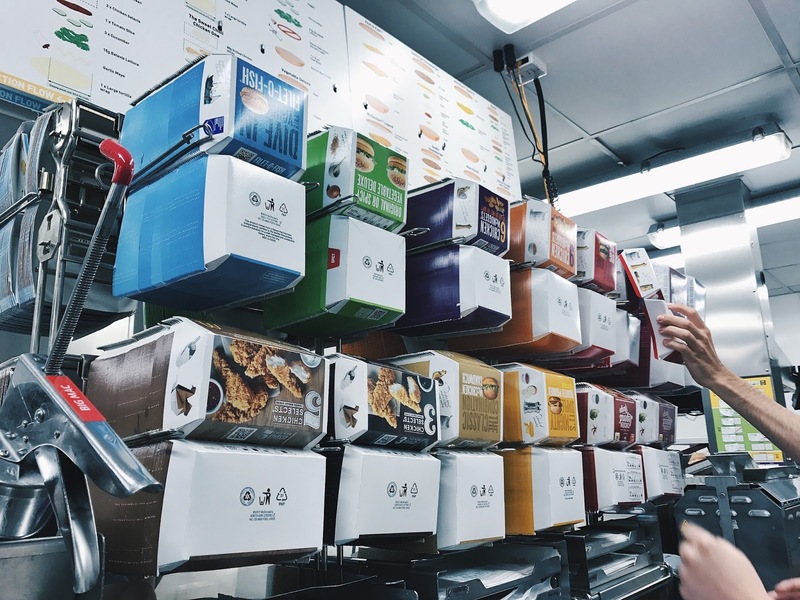 As a busy student with a lot of hand in’s to complete, the quick ordering method at the kiosk makes short time of getting your McChicken Sandwich fix (especially before a 3 hour afternoon lecture). I found out that the kiosk also has a nifty children’s/disabled option which “brings the screen down” quite like an iphone does, and allows someone with less reach to use the kiosks. 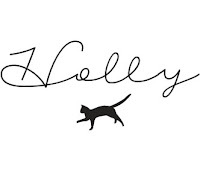 Also, there are plenty of language options so you can order in Spanish, French, or even Welsh if you’re in the capital! 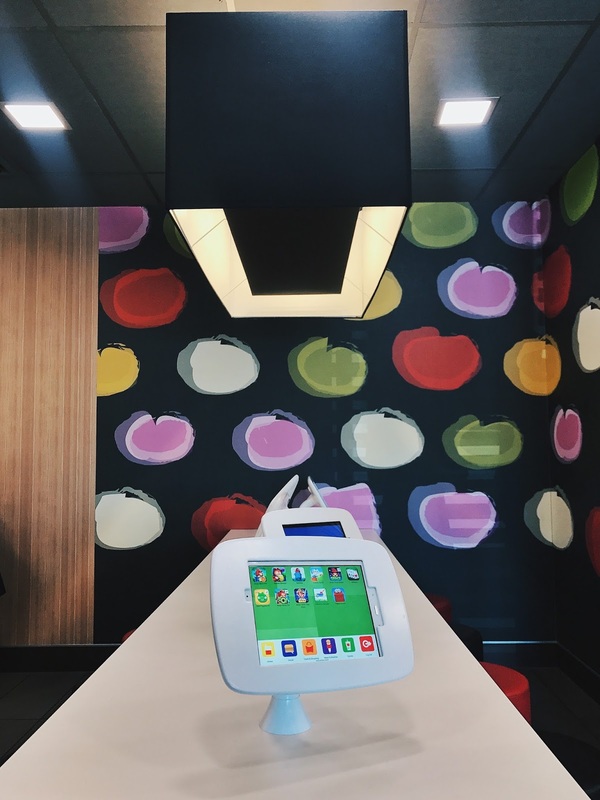 On the technological note, you may have noticed the implementation of tablet tables at your local Maccies! 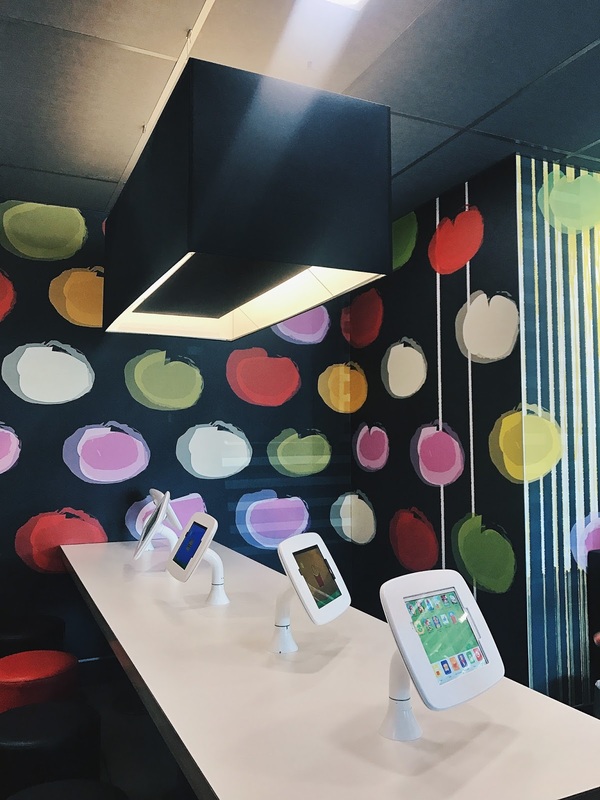 McDonald’s have created an environment where you or your children can safely play games, access apps, check emails, or browse the web – all without eating into your own battery life! My fave new evolution is the ability to customise your burger…. and have it brought to you. Whaaaat?! 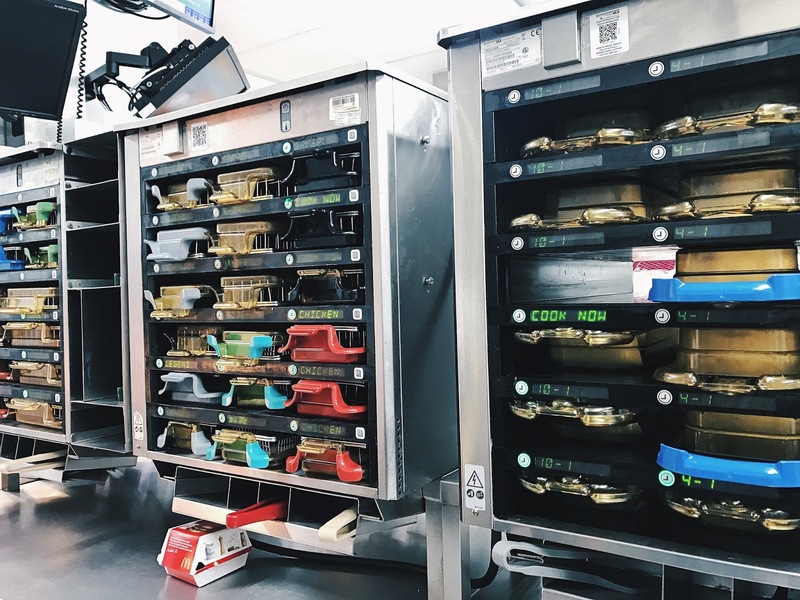 I hear you say – Well, McDonald’s now offer you the ability to change up your favourite items on the menu by adding extra bacon, and perhaps… leaving out those pickles. Then, you can take a seat in your prefered area of the restaurant, put ya feet up, and wait for your food to be brought to you. Genius. 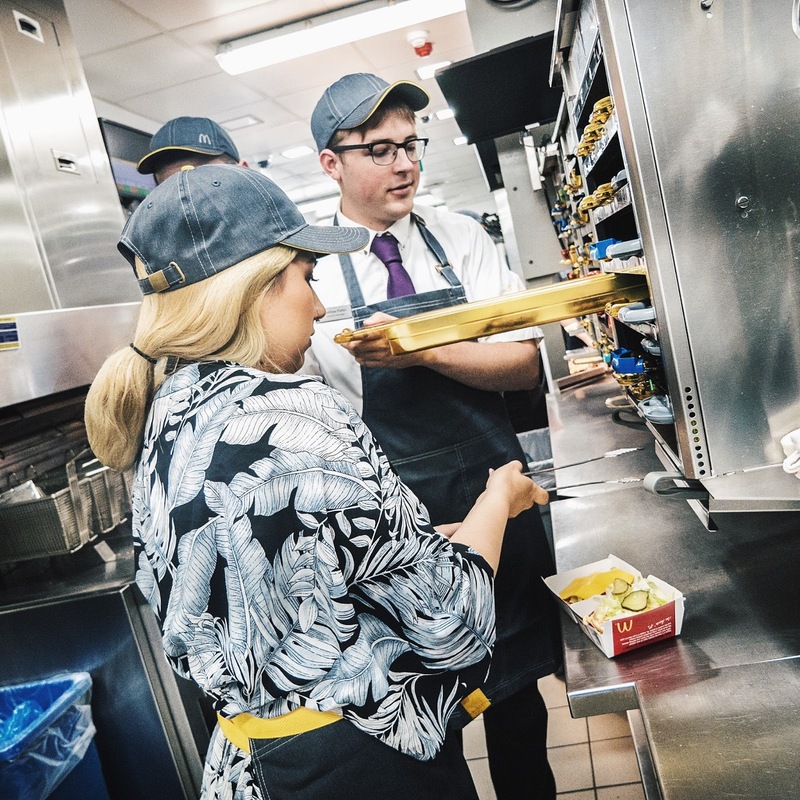 McDonald’s have recently implemented a brand new kitchen system, with state of the art cooking equipment to boot. 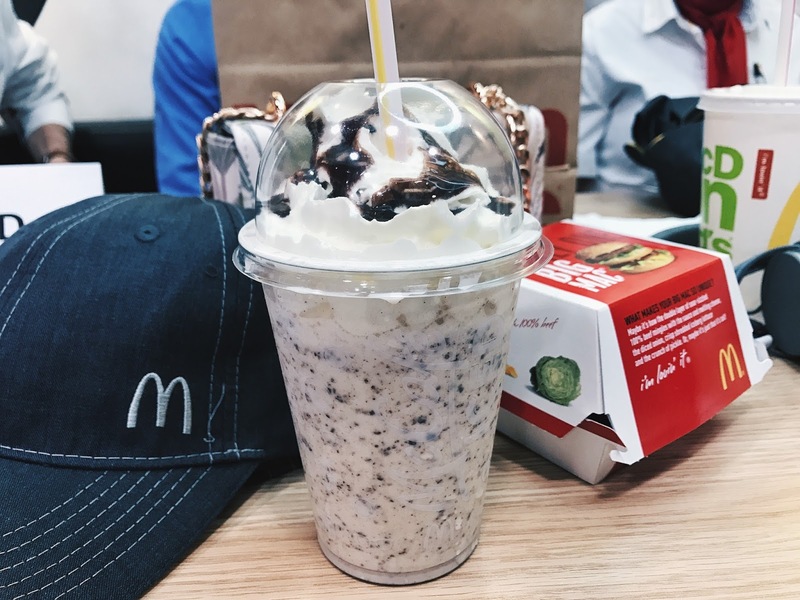 Oh, and Culverhouse Cross have actually just launched The Signature Collection in-branch due to the updated equipment, so pop down to grab a taste of McDonald’s luxury right there! 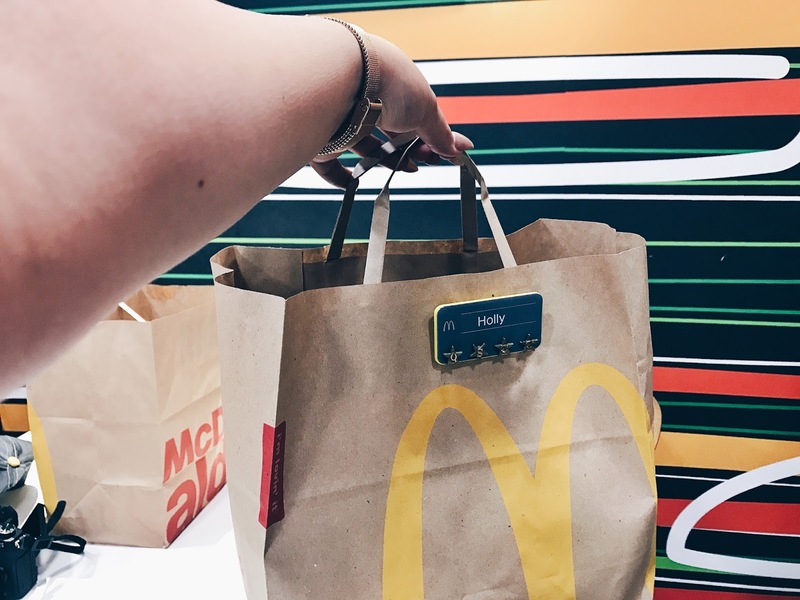 In the kitchen, I got to don a pretty nifty looking grey & yellow uniform (they’re new and snazzy) with my very own name tag, and get to work creating my very own iconic Big Mac. Must apologise for the state of me in these photos, but my hair is tied back and in a net – hygiene first guys n’ gals! 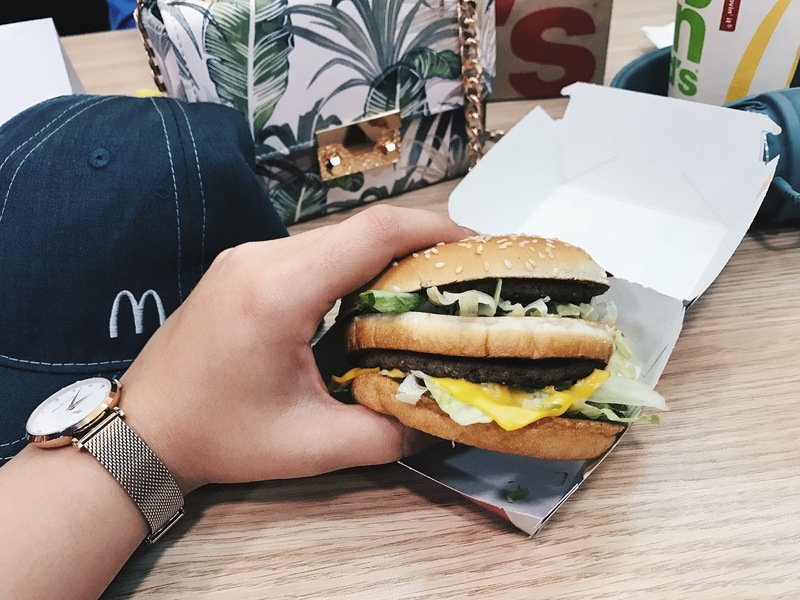 I went first out of a bunch of us bloggers, and despite being pretty nervous, I think I didn’t do a bad job at all – Feeling like a total Big Mac qween! 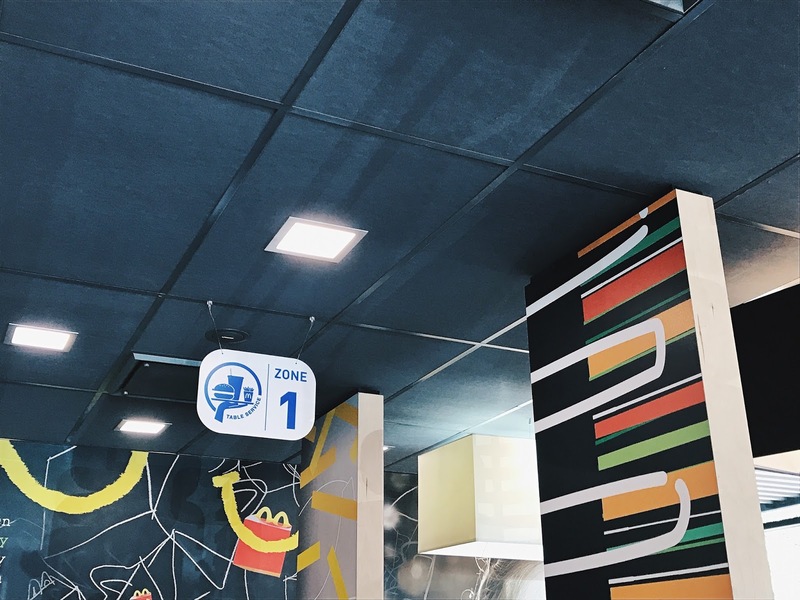 Want to know a bit more about what make’s McDonald’s McDonald’s?